These beach vacation rental homes in Destin on Florida's Emerald Coast are a paradise you can call home. Located on Florida's beautiful Emerald Coast, Majestic Sun is situated beachside on Seascape Resort. Majestic Sun offers luxury condos on a grand scale that matches stunning Florida sunsets, sugar-white-sand beaches and the crystal waters of the Gulf of Mexico. All 12 floors provide incredible unobstructed gulf views. 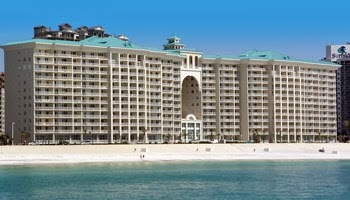 Special attention has been given to blend the natural beauty of Florida's Emerald Coast with the condominium complex.